Transmission frequency: 400-470MHz U section covering the whole period. 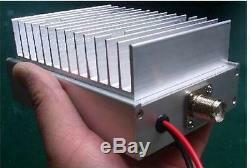 Output Power: 80W, at 460MHz at a good use 13.8V 30A Linear Power. You can output 90W, 100W encroaching cattle. Receive loss: U section 400-470 loss is better than 1dB, V segment 136-174 loss 0.7dB excellent. 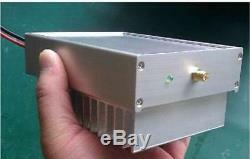 The amplifier supports the UV segment receive, transmit only emission U section! Receive current: The amplifier receives when not consume any current at the time of transmission power is automatically. Turned on, so no power switch, all automatic! 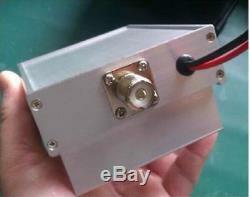 Input power: Suitable for all U section 2--7W hand power amplifier. Power: 12-14V, the standard vehicle voltage of the voltage, the emission current of 16A. Should be connected directly to the car using the car battery, cigarette lighter does not work. The images shown are not the actual item and are for your reference only. SERVICE TRANSIT TIME is provided by the carrier and excludes weekends and holidays. Transit times may vary, particularly during the holiday season. OR, you may choose to have a replacement. In Appreciation of Your Feedback. The item "400MHz-470MHz 80W-90W UHF Ham Radio Power Amplifier Interphone Car Radio" is in sale since Friday, August 18, 2017. This item is in the category "Consumer Electronics\Radio Communication\Ham, Amateur Radio\Ham Radio Amplifiers". The seller is "flyxy2015" and is located in Guangzhou . This item can be shipped worldwide.